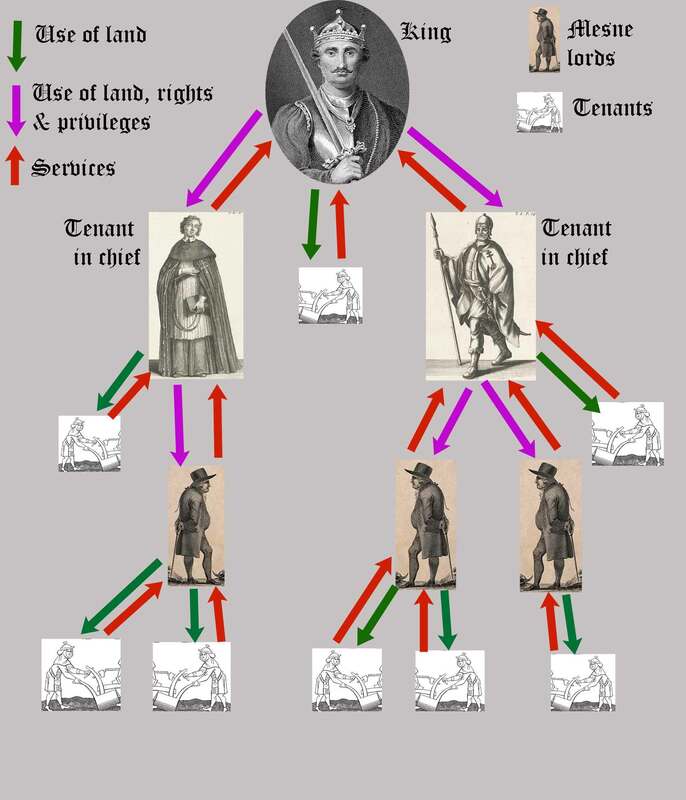 Feudal systems closely connected governance and land tenure. It was based on the relationship between two free men, a lord and a vassal. The lord gave the use of his land, rights and privileges to his vassal in return for a variety of services, including military service, money, labour, something symbolic, or prayers. Over time services were commuted to money rents. A hierarchy of ownership developed with the monarch as the ultimate lord. The king’s vassals could pass on rights and privileges to their own vassals. Feudal systems arose in parts of Europe between the 10th and 12th centuries. In England the feudal system was finally abolished on 1 January 1926 by the Law of Property Act 1922 and related acts. Feudal is derived from medieval Latin feudum , feodum or French féodal.